You can publish your completed documentation and share it with your organization in Web format. 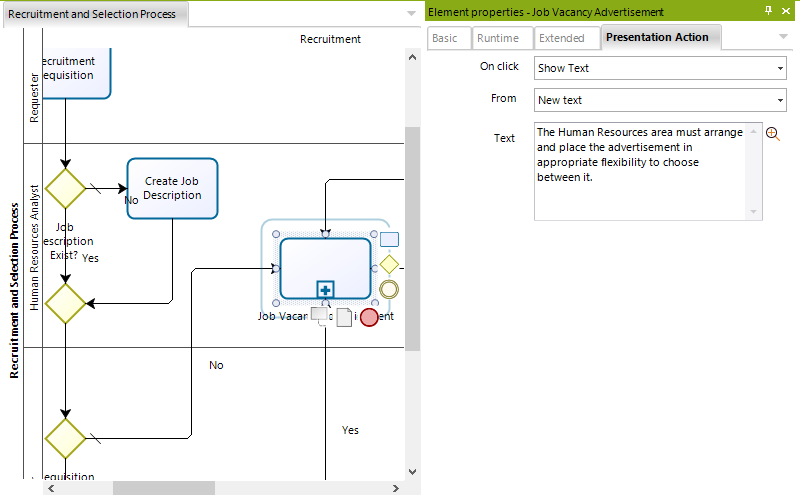 Customize the output information for inclusion in your document by selecting the diagrams and the elements to be included. 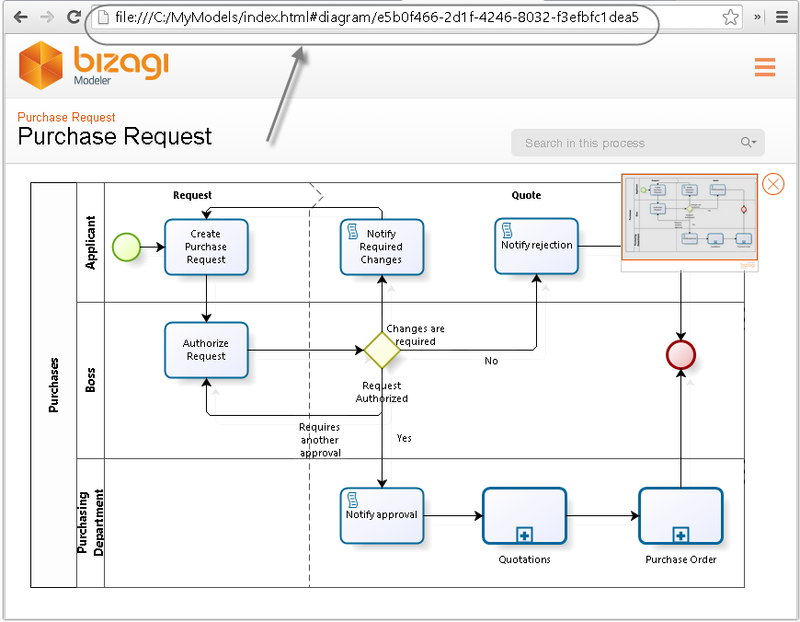 Bizagi provides an intuitive wizard to help you through the steps to generate your documentation. 1. On the Publish tab, in the Process documentation group, click Web. 2. For each diagram select the elements that you wish to publish in the documentation. 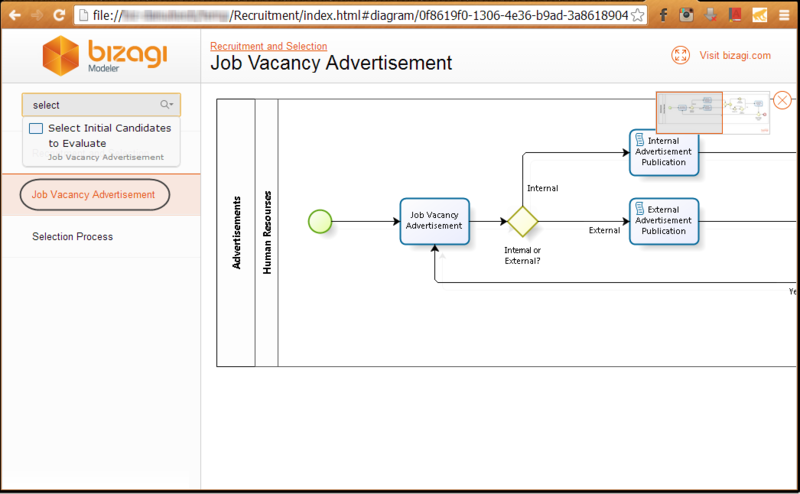 You can select all elements across all diagrams by using the button. 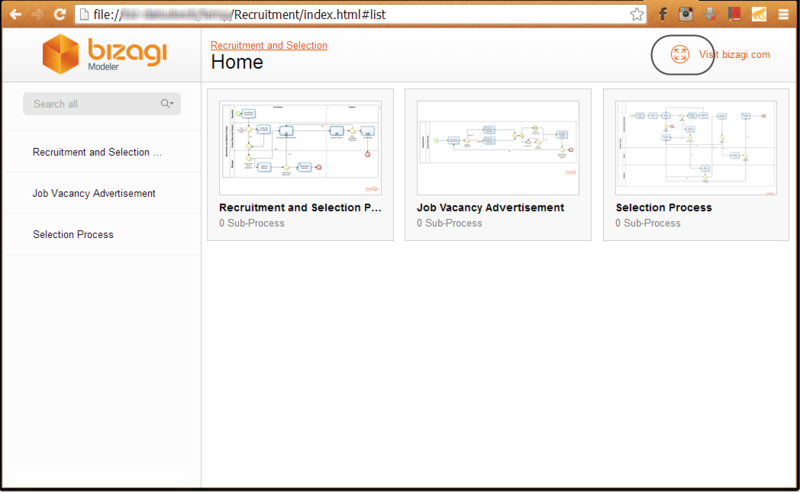 By ticking this button ALL your diagrams and their elements will be set as Selected Elements to publish. Any individual diagram configuration will be lost. 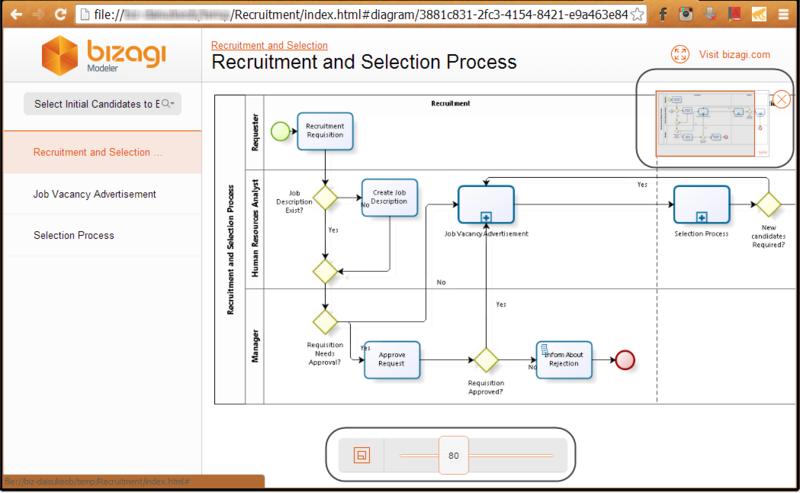 You can also individually select elements from each diagram using the button or by double clicking them. 3. For each diagram select the order in which you wish the elements to be exported. By default elements are organized according to the sequence of the process flow . To move an element from its default position, select the element and click the button until you find the desired position. Click the button to order the elements automatically. When you are satisfied with the order of the elements for each diagram, click the Next button. 4. Specify the appropriate folder in which to publish your process. This folder should have Read and Write permissions. 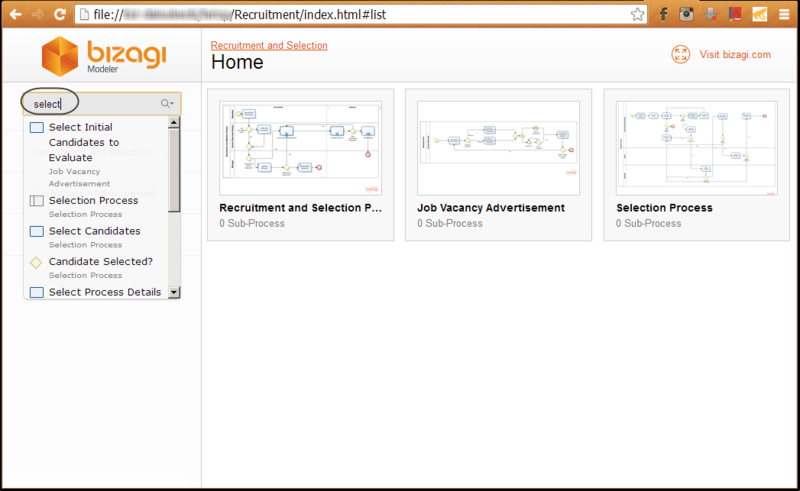 Once the process has been published on the Web, you will be able to view your diagram documentation. Generated documentation will show your selected processes in an initial Home page. The description is displayed when the mouse is hovered over each process. Exit full screen mode by pressing the Escape key (ESC) or clicking on the Full screen icon again. Further documentation included will be displayed when clicking over each element. Click on your process to see the detailed information. You will be able to see the documentation of any diagram element by clicking on it. To exit from the details popup, close it or click anywhere else in the diagram. If you want to access a specific Diagram form an external location using a Hyperlink to open a process directly, instead of opening the Home page, open the desired process and copy the entire URL. This URL can be used as hyperlink and the process will be opened directly. 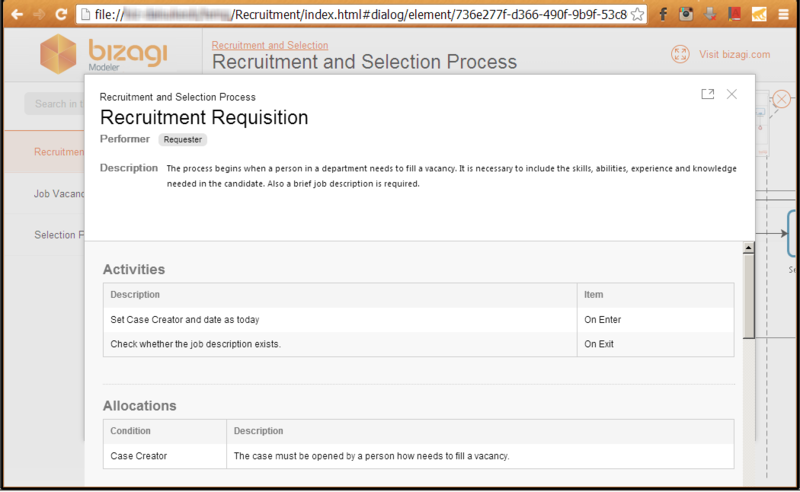 To perform quick searches on the Process Elements, you may use the search field. If you want to have the process documentation available to be downloaded and printed from inside the Web documentation, we recommend publishing first to Word or PDF and then saving the documents in a file server. Finally, link the URL path to that Word of PDF document as an Extended attribute so that it is shown in the Web documentation.